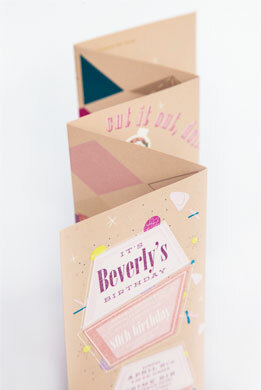 Longtime friend, Beverly Goldberg was celebrating a milestone birthday. 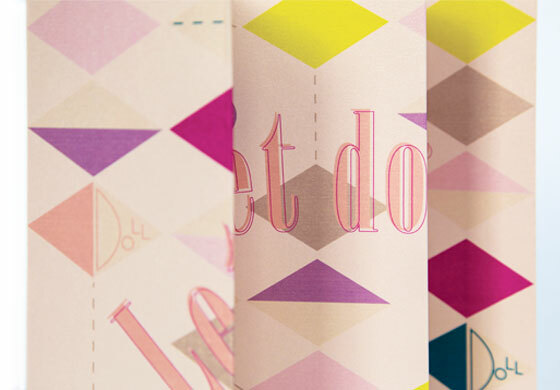 The invite's name was the theme of the party, "Let's get dolled up! " 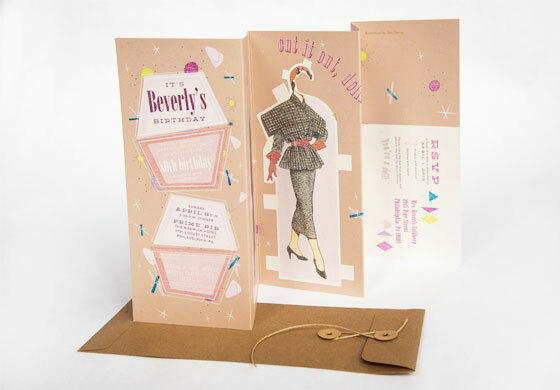 Using vintage paper doll illustrations and an accordion fold, our team created a vibrant and interactive invitation to celebrate one special person. 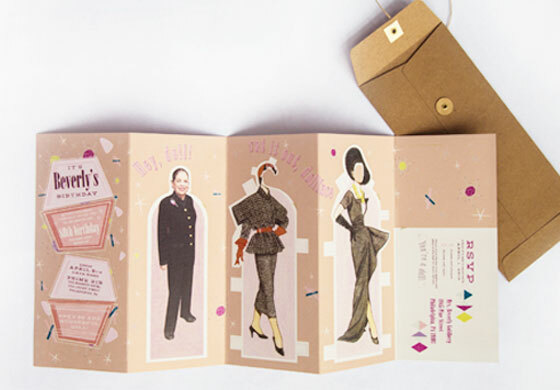 Each panel contained a different vintage dress option to be used on the birthday girl's image. 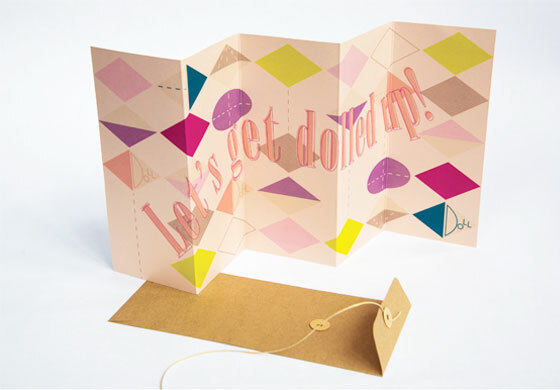 The invitation was tied together with a kraft envelope and button string.